Snacks are an important part of our daily food. 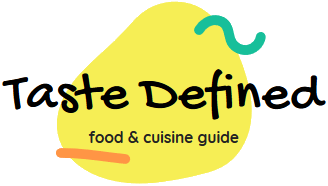 Mostly of these lip smacking eatables are consumed with tea, coffee or are taken as starters before the main course meal. Today, we are going to make a popular south Asian snack called Samosa primarily made in Indian subcontinent and that too in the northern part of the country. Basically, it's a spicy potato filling stuffed in fried dough cones. 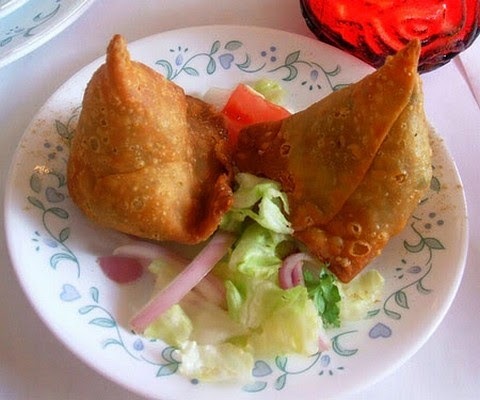 There are several variants of samosa with different types of fillings though the authentic preparation contains mashed potato filling. They are normally consumed with a spicy sauce or dip. So let's get started and quickly make this tasty and crispy snack preparation for our family members and friends. Droll over this mouth-watering snack called Samosa made with spicy mashed potatoes stuffed in crisp dough cones and consumed with delicious coriander sauce. 1. Add carom seeds, salt and 3 tsp oil to refined flour. Make a tight dough and keep it aside for 1/2 hour covering with moist muslin cloth. 2. Heat 2 tsp oil in a pan. Add cumin seeds and let them crackle. 3. Add ginger, green chillies and mashed potatoes. Saute for 2 minutes. 4. Add green peas, red chilli powder and dried mango powder. Continuously stir fry on medium heat. 5. Remove the filling from heat and season it with salt. Mix it well and keep aside. 6. Make cones from the dough and stuff them with potato filling. Make sure you seal them properly. 7. Heat oil in a deep frying pan. Once oil is properly heated, bring down the flame to medium. 8. Fry all samosas on medium heat till they turn golden brown. 9. Serve with tamarind or coriander sauce.